We create the future in the present, and therefore we do not understand our business without thinking about sustainable transport. 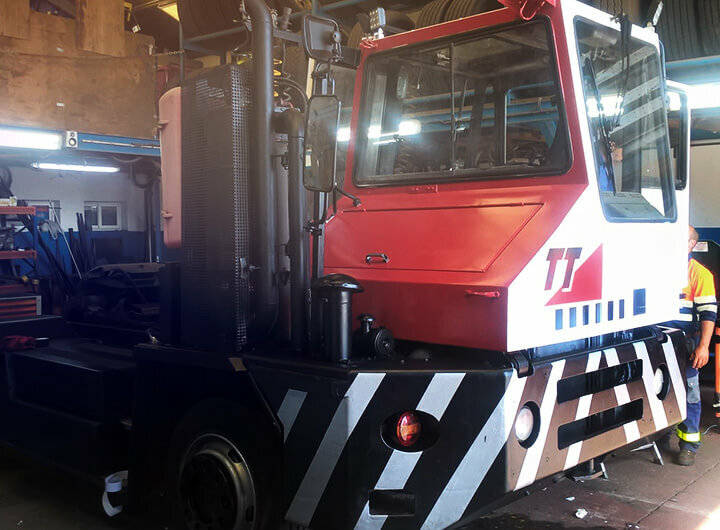 We have a fleet with an average age of less than two years, equipped with the latest developments, and the latest information technology developments allowing us to control the emissions. 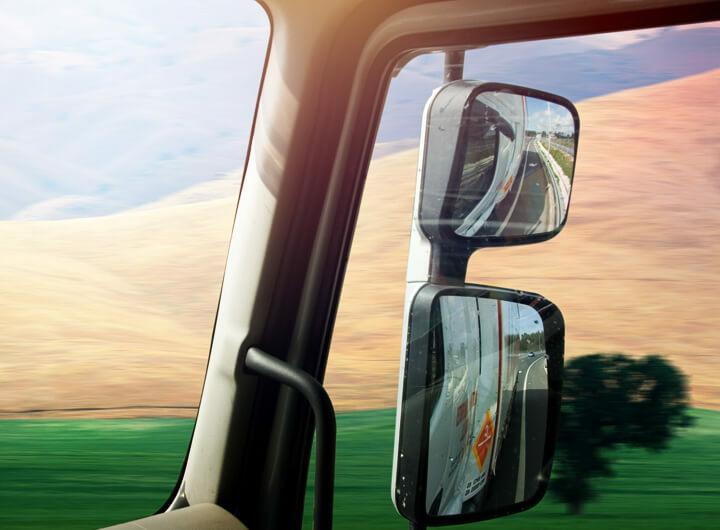 Our drivers are trained to perform an eco-driving, integrating sound environmental practices and reducing the adverse effects of our activity. 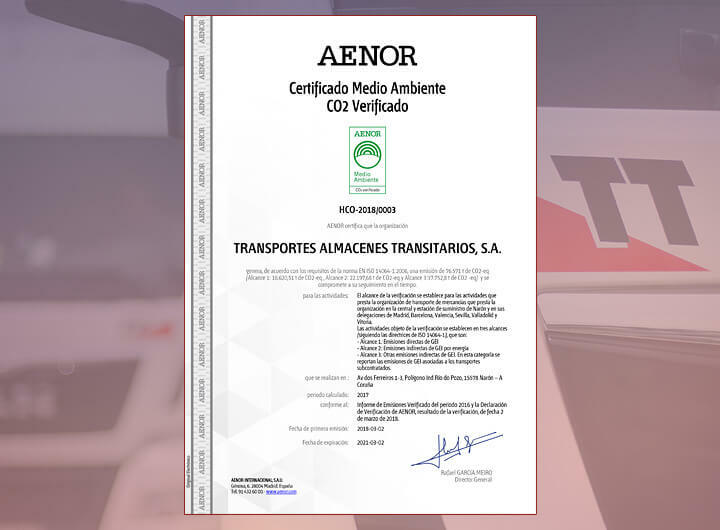 This fact, together with specific software application development and analysis of each trip has allowed us to minimize our footprint in the World The measurement and reduction of CO2 emissions is a main objective in our company. The use of gas trucks or even electric trucks are lines for which we are determined to explore. 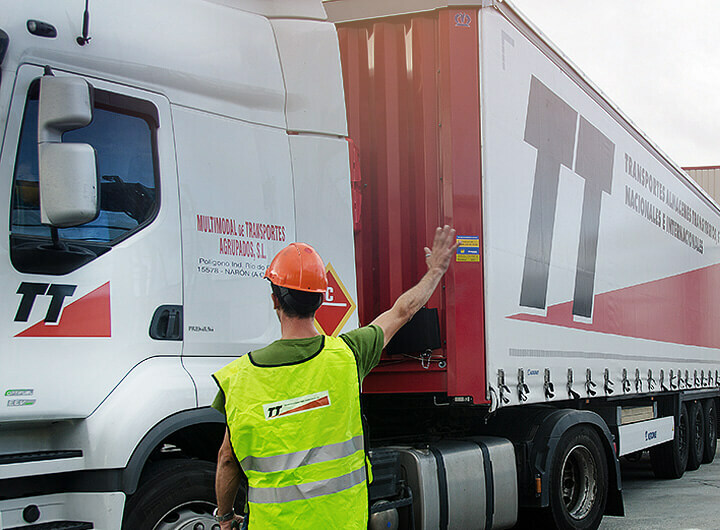 GRUPO TT has positioned itself as a leader in integrating their business with ERP software, CRMs, ISS, etc., in addition to implement solutions for locating and maintaining a constant connection with its fleet. External audits and ICT diagnosis is confirmed, earning scores higher than other competitors in the sector. 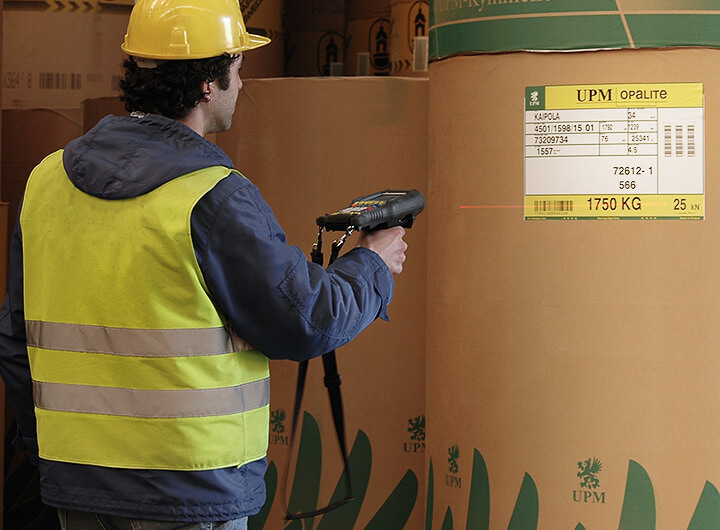 This policy of constant support for innovation, and strong investment in I + D + i, has placed us as the leading logistics company in Spain and one of the most important European one. GRUPO TT is made up by a team of people who contribute daily, each of them from their workstation, the development of efficient transport. 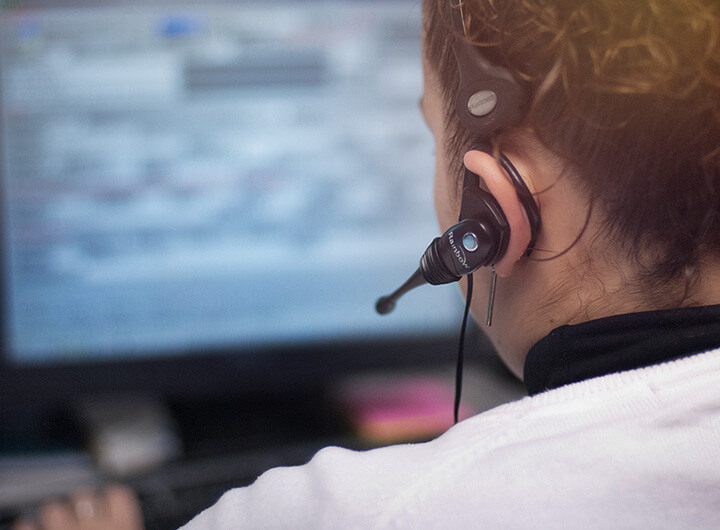 Our greatest asset is our team, on board of our trucks and managing traffic in our offices. 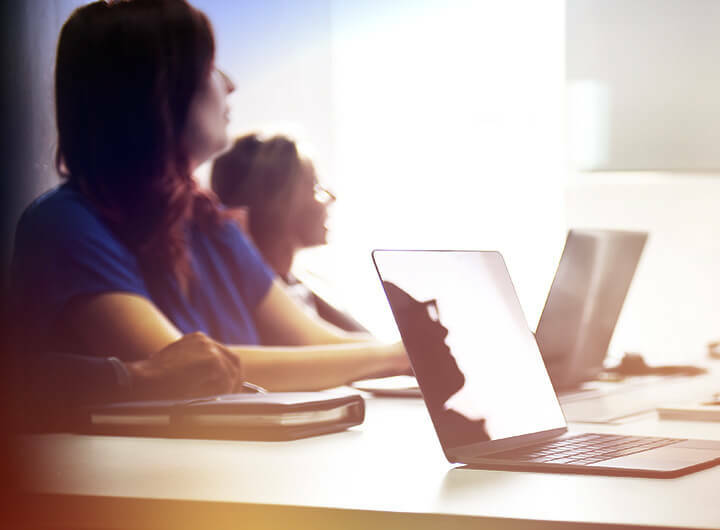 Therefore, from our origins, we have opted for a policy of continuous training for our employees, adapting it to customer needs and technologies and media evolution. 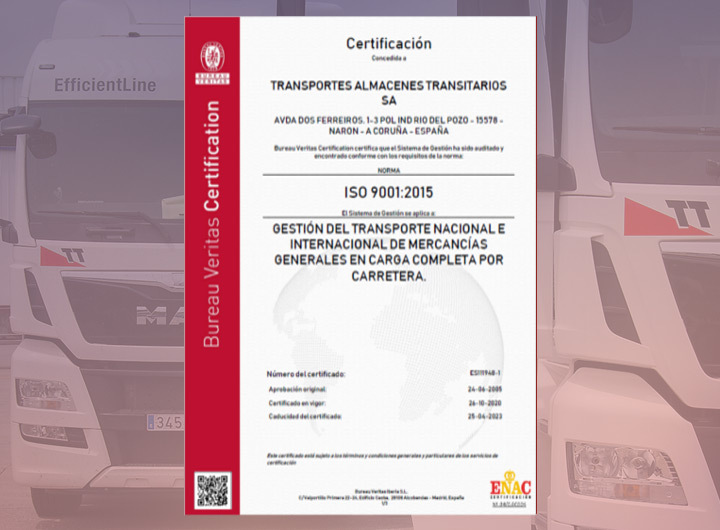 TRANSPORTES ALMACENES TRANSITARIOS S.A. through the establishment of preventive policy is committed to implement and develop a system of risk prevention that will be integrated into all activities and decisions, in the technical processes and work organization and the conditions under which is developed, including all hierarchical levels. THE ELIMINATION OF ACCIDENTS AND THE SAFETY OF WORKERS IS A TASK FOR ALL OF US. 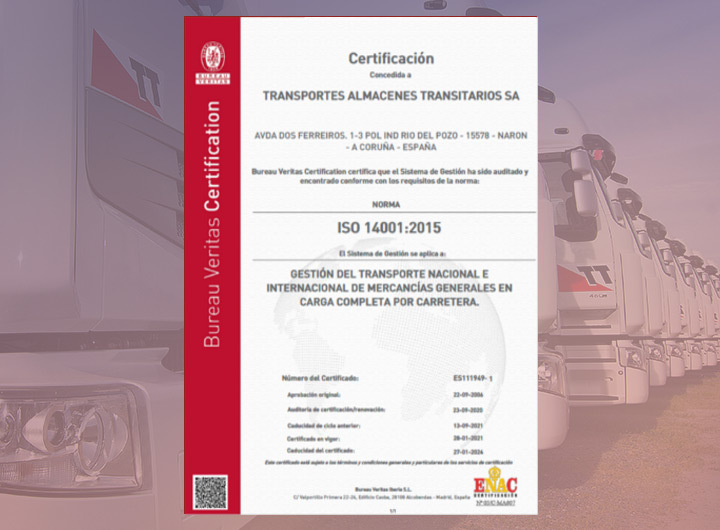 Within the improvement process, we have been pioneers in the implementation of the quality management system of ISO 9001 as well as the assurance of environmental quality ISO 14001. We also are REPRO certificate. 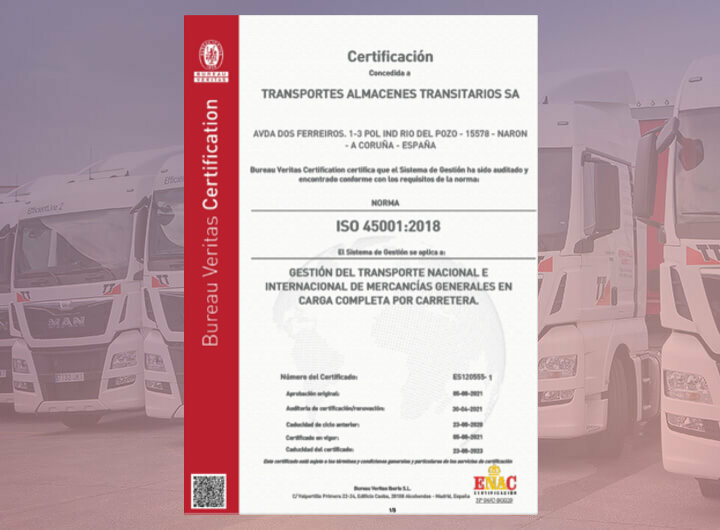 These certifications assure our customers, competitors, suppliers, employees and shareholders that GRUPO TT employs the best practices recognized in its sector. 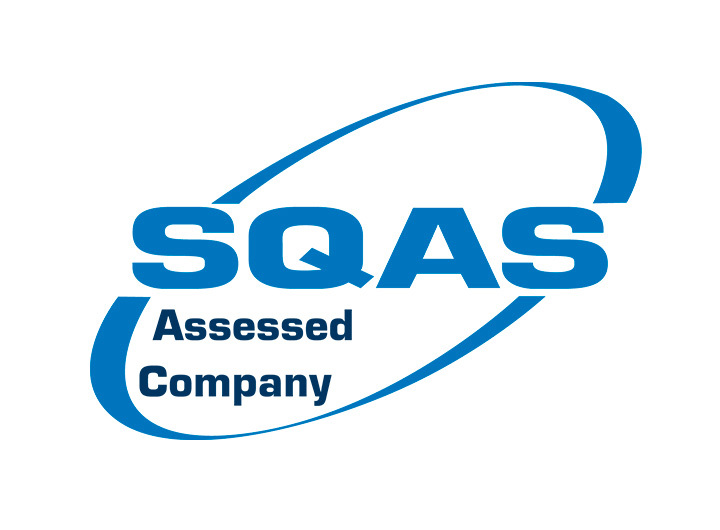 We have been audited under internationally standards and operate with the highest levels of quality and service.